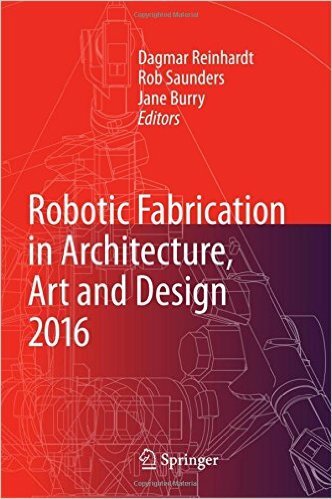 The book presents the proceedings of Rob/Arch 2016, the third international conference on robotic fabrication in architecture, art, and design. The work contains a wide range of contemporary topics, from methodologies for incorporating dynamic material feedback into existing fabrication processes, to novel interfaces for robotic programming, to new processes for large-scale automated construction. The latent argument behind this research is that the term 'file-to-factory' must not be a reductive celebration of expediency but instead a perpetual challenge to increase the quality of feedback between design, matter, and making.